Richard Marchase, Ph.D., has over 30 years of experience in research and innovation in the health and life sciences sector. 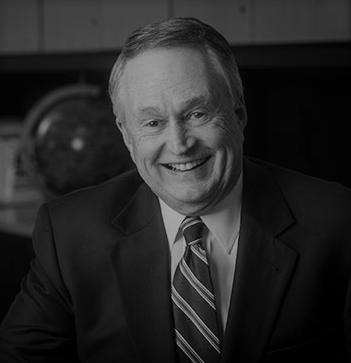 He recently retired from his role as Vice President for Research and Economic Development at the University of Alabama at Birmingham. His administrative functions included strategic planning, regulatory oversight, recruitment, and space allocation for a research enterprise generating approximately $450 million annually. He also functioned as the principal university liaison for regional economic development issues and chaired the Board of Innovation Depot, the award-winning business incubator affiliated with UAB. He served on the Boards of the UAB Research Foundation, BioAlabama, the Economic Development Partnership of Alabama Foundation, Alabama EPSCoR, and Southern Research Institute. He currently co-chairs the steering committee of Innovate Birmingham, an academic, civic, and industry partnership to build the technology sector in Birmingham. In 2012 and 2013 he served as Interim President of UAB. Marchase received his undergraduate degree from Cornell University and was honored with the Hamilton Award as its Outstanding Graduate in Science and Engineering. He received his Ph.D. with Distinction from The Johns Hopkins University and did postdoctoral training at Duke University. He was named a member of the faculty there and was honored as a Nanaline H. Duke Scholar. In 1984 he received one of the inaugural Presidential Young Investigator Awards from the National Science Foundation. Marchase was recruited to the University of Alabama at Birmingham in the Department of Cell Biology in 1986. He was named Chair in 1994, Associate Dean for Research in the School of Medicine in 2000, and Vice President for Research in 2004. His research interests center on recovery of function following ischemia. He has numerous scientific publications and patents, has served on editorial boards for several biomedical journals, and has been Principal Investigator on over $50 million of research and infrastructure grants and contracts. Marchase has been active in a host of national organizations, including the Association of American Medical Colleges and the Association of Public and Land-grant Universities (APLU). He recently completed a two-year term on the APLU Board of Directors and as chair of the APLU Council on Research. He served as President of the Association of Anatomy, Cell Biology, and Neurobiology Chairs and as both President and Vice President for Science Policy of the Federation of American Societies for Experimental Biology (FASEB), which represents over 120,000 scientists and is recognized as the principal voice of the biomedical research community on issues related to research funding and policy. Marchase recently served as a member of a “red team” assessing quality and safety issues at the National Institutes of Health Clinical Center. He was honored by the Juvenile Diabetes Research Foundation with the Mary Jane Kugle Award and by the American Association of Anatomists with the A.J. Ladman Award for Exemplary Service in 2010. Marchase was named a Charter Fellow of the National Academy of Inventors in 2012 and is a member of the Editorial Board of its journal, Technology and Innovation.